JOBS REPORT Stern chronicles the life of the tech visionary ... well,the least interesting parts of it, anyway. If Jobs were a device instead of a movie, it would be an eight-track player. Maybe a Donkey Kong game. Anything but the sort of sleek toy its subject used to pull out of his hat with astonishing regularity, making the future not just more connected but more fun. The movie is frustratingly first generation, based on the design used in decades of “great man” films, and as disappointing as you probably expect — only not for the reason you probably expect. 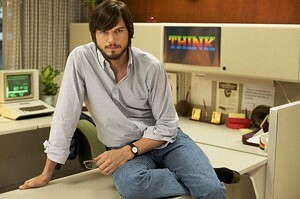 Ashton Kutcher isn’t the reason Jobs mostly fails; he’s the reason it ever works at all. 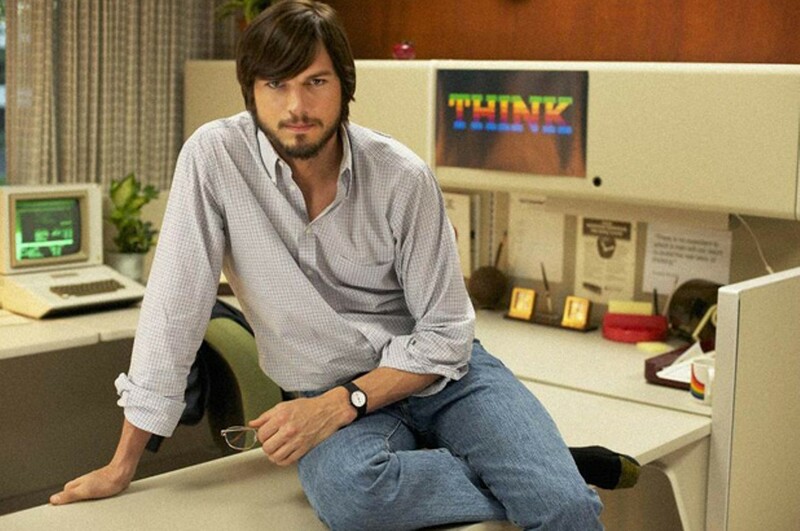 Kutcher’s portrayal of the Apple cofounder and conflicted digital messiah is a rock-solid piece of acting and pretty much the only thing likely to keep you from mentally logging out. The hacks responsible for this travesty, rather, are first-time screenwriter Matt Whiteley and hack-writer-turned-hack-director Joshua Michael Stern (Neverwas). Problem No. 1: The filmmakers promise in their marketing to tell, as the Internet Movie Database puts it, “The story of Steve Jobs’ ascension from college dropout into one of the most revered creative entrepreneurs of the 20th century.” They don’t. That’s the story told in Walter Isaacson’s biography, and the story moviegoers doubtlessly will expect — but, oddly, it’s not the story Stern tells. Set in 2001, the opening scene offers false hope. Kutcher lopes into a company auditorium attired in his character’s signature black turtleneck and jeans. He holds up the very first iPod, stuns his audience by announcing it “can put a thousand songs in your pocket” and smiles beatifically as he’s given a standing ovation. That’s the last we’ll see of the latter-day Steve. The filmmakers hit rewind, and suddenly we find ourselves in 1971 and in the company of Jobs 1.0, a hippie with a gift for talking people into things. Among them is his friend Steve Wozniak (Josh Gad), whom Jobs talks into letting him market the prehistoric version of a personal computer he’s jerry-rigged. The film’s hazy on just what people did with these things before the internet, but Jobs manages to sell enough of them to attract an investor (Dermot Mulroney). The company grows from a few geeks in a garage to a global competitor as fast as its leader can steal trade secrets from Xerox (a fact of history that failed to make the final cut). Stern dutifully chronicles his subject’s rise and fall between 1971 and 1985, when Jobs’ board of directors directed him to the door. He gives us scenes of the uncompromising visionary throwing fits, bullying, ignoring budgets, cheating friends and generally refusing to compromise, but offers zero insight into Jobs’ interior life, into how he dreamed up gadget after gadget that changed the way we live. I checked my watch. Two hours in, and we’re only this far? I wondered. How’re we ever going to cover the whole thing? For some bizarre reason, Stern doesn’t. In fact, he leaves out what many would consider the most interesting part of Steve Jobs’ story — everything he did after he took Apple back. The picture’s most significant problem, though, is simply that it’s pointlessly truncated. It’s the truth, just not the whole truth. Stern and Whiteley’s is a story about big business when it should’ve been a story about big ideas. * Running time: 128 min.